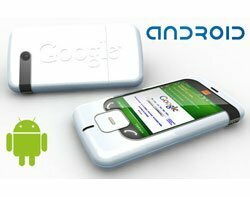 Google's Android operating system has overtaken Nokia's Symbian platform to become the world's leading smartphone platform. According to the latest report by Canalys, shipments of smartphones running on Android OS reached 32.9 million units in the fourth quarter of 2010, compared to 31 million units shipped with Nokia's Symbian OS. Google's marketshare surged 615% from 8.7% last year to 33% in 2010, while Microsoft's marketshare fell 20% from 7.2% in the fourth quarter of 2009 to 3.1% in the same period in 2010. Chris Jones, Canalys vice-president and analyst, said suppliers cannot afford to be complacent. "2011 is set to be a highly competitive year with suppliers looking to use new technology, such as dual-core processors, NFC and 3D displays to differentiate their products and maintain value." Suppliers such as LG, Samsung, Acer and HTC experienced huge growth in Google OS-based devices. LG's volumes grew 4,127% year-on-year followed by Samsung with 1,474% year-on-year growth. HTC and Samsung accounted for almost 45% of all Google OS-based handset shipments. Nokia maintained it lead in the Europe, Middle East and Africa (EMEA) market, which remained the largest smartphone region with 38.8 million units of the total 101.2 million units shipped worldwide, said Canalys.